Have you considered upgrading your current pool pump? Or is your old pump making so much noise you can’t stand to listen to it any longer? Older pumps rely on technology that hasn’t changed much for many decades, and they become less efficient every year you use them. Efficiency Vermont is offering generous rebates NOW for Vermont residents to get you to consider replacing your old single speed pump with a high efficiency variable speed unit. We carry pumps for both above ground and in ground pools. 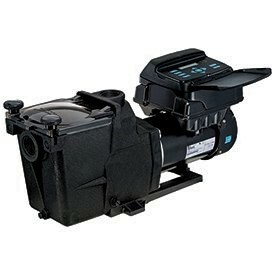 The variable speed pumps offer slower/variable operating speeds which cut your electric consumption dramatically and really do improve your water quality. They are so quiet that many customers can’t believe they are actually running.